Advertising your business online is more effective than ever, but only if its backed by a smart strategy and the right platform. Google AdWords is one of the most popular and effective methods of online advertising in 2017. It’s a pay-per-click service, which means business owners like you pay every time someone clicks their ads, whether they’re text, banner, video, or call-based. Ads can target specific locations and keywords, making this platform useful for businesses of all sizes. If you’re looking for a flexible marketing platform that taps into millions of potential clients, look no further than Google AdWords. At Brad Hart Creative Group, we have a team of certified Google AdWords Specialists who understand the nuances of the service and the best way to optimize campaigns for businesses based on their markets, competition, and budgets. Traditional print, radio, and television advertising campaigns are slow to produce and slow to catch on. 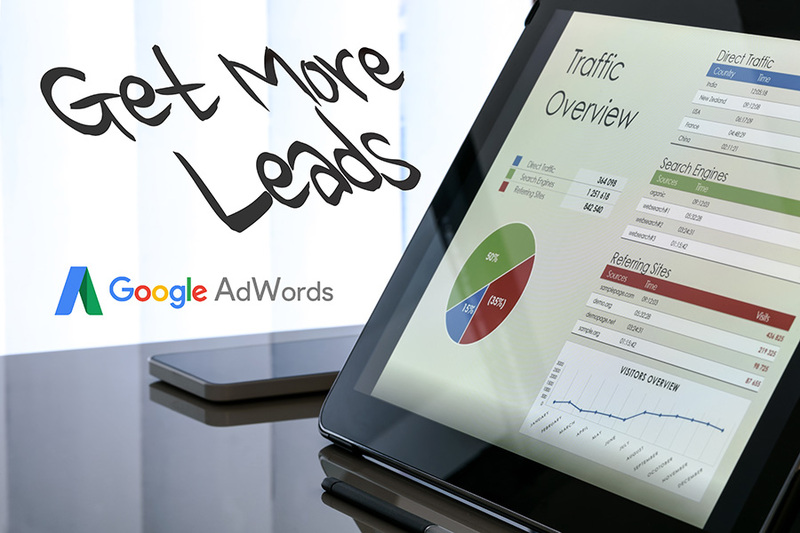 Google AdWords campaigns can be created quickly and posted immediately, generating instant traffic to your website. Casting too wide of a net is a big problem with many traditional advertising campaigns. Google AdWords allows you to key in on the people who are the most likely to submit their information via web forms or call your office. Google AdWords gives you ultimate control over your advertising budget. Your ads cost nothing if they aren’t clicked on, and you can set spending limits on a monthly or even daily basis to keep your costs under control and maximize your advertising ROI. It can be difficult to determine how effective a traditional advertising campaign is without getting feedback from new clients. Google AdWords eliminates this step by giving you full access to stats such as number of clicks, number of impressions, click-through rate, and more. While Google AdWords can’t read your potential clients’ minds, it can tell you a lot about them. By collecting information such as the keywords they used to find your website, their location when they submitted the search, the device they searched from, and even the time and day of week they searched, you can further refine your advertising campaigns. These advantages compared to traditional advertising campaigns make Google AdWords one of the most powerful advertising tools for business owners. However, if this platform isn’t properly managed, the results can range from ineffective to disastrous. In late 2011, Google released AdWords Express. It’s a service that’s designed to automate AdWords accounts, creating a completely hands-off experience for business owners. Unfortunately, it often ends up doing more harm than good, ultimately costing people like you time and money. AdWords Express automatically chooses keywords based on information you provide when you set up your account. While that makes it easy to automate your online marketing, it rarely leads to good results. Our team will choose keywords that match your expertise, location, and market. While it’s important to target the right keywords in your Google AdWords campaign, it’s just as important to filter out the wrong keywords. AdWords Express doesn’t give you this option, but our specialists will continually refine your account to exclude keywords that are irrelevant to your practice. Remarketing is a Google AdWords tool that displays your ads across users’ devices after they visit your website, and our specialists can optimize its performance via specific lists and bid strategies to increase its effectiveness and reduce your costs. With AdWords Express, you won’t be able to take advantage of this powerful feature. If you’re looking for the greatest ROI and the most control over your online advertising campaign, the Google AdWords Specialists at Brad Hart Creative Group are here to help. We have the experience and the track record of success to not only improve your advertising results, but to also save you money—especially when compared to automated services like AdWords Express.